Knopf Books for Young Readers, 2014. 384 pgs. Young adult fiction. Violet is a Southern teen during the Civil War and after her brother dies and her distant cousins move in, as well as her father remarries someone with a daughter Violet's age, her world is completely changed. She cares for her younger cousin and while exploring the woods they find a wounded Union soldier, Thomas. Nickerson recreates the ballad of Tam Lin in the story of Violet and Thomas finding a forbidden love while encountering the shadowy hoodoo of a snake worshiping family. The VanZeldts are keeping Thomas for unknown reasons and Violet tries to get Thomas well and safe without returning him to the battles. There were slow parts of the book and some of the characterization of the slaves and VanZeldts were uncomfortable in some moments and the love story was not very believable. The setting and Violet were entertaining though and the historical setting of hoodoo and Civil War in the South were creative. 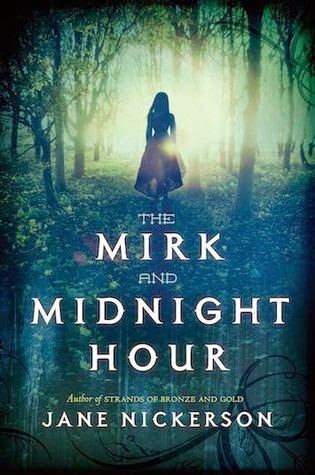 This book is definitely worth the read if the time period is of interest or the retelling of legends and magical tales.